Emma Loveless was convinced her last name embodied the status of her love life – she would remain “loveless” forever. Working as a metallurgist at a local steel plant and living on a constant diet of Dr. Pepper and other sugar-filled items, Emma was not a petite young woman. When her well-meaning, matchmaking mother sets her up with her new optometrist, Dr. Sawyer King, Emma’s life takes unexpected twists and turns. In My Not So Wicked Stepbrother (My Not So Wicked Series Book 1), written by Jennifer Peel, there is a wonderful combination of humor, intrigue and numerous heartrending and heartwarming moments. Emma’s family, including her younger twin sisters Marcy and Marlowe, and her circle of friends, are supportive at times and seemingly unhelpful at others. Although Emma and Sawyer seem to be destined for each other, many other forces make the outcome unpredictable. There is a complicated history among the family members, adding some unforeseen aspects to the interesting plot. The author skillfully adds new facts along the way, creating a depth to this romantic comedy story. There are many characters – from family members, to Emma’s coworkers, to her father’s employees – and each one is aptly described. The book is engaging from the first page to the last, and it is easy and fun to read. 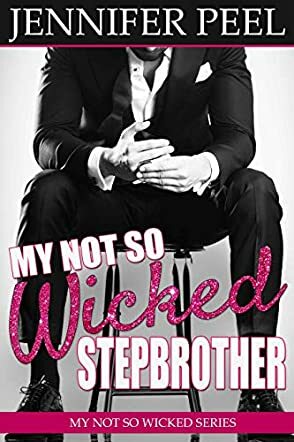 Author Jennifer Peel has written an entertaining romantic comedy in My Not So Wicked Stepbrother (My Not So Wicked Series Book 1). The title indicates it is the beginning of a series, and readers will look forward to seeing what happens next!